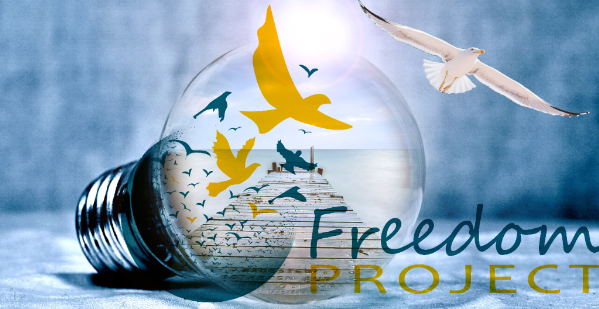 You’re invited to join Freedom Project’s Community Circle, which will meet this month on Thursday, June 26 from 6-8 pm. Community Circle is a networking gathering of returnees who have been released from prison and other community members who meet to support each other in practicing Nonviolent Communication and mindfulness. If you have thoughts how we can improve Community Circle please help us by taking this short survey. WHERE: Community Circle will be held again this month at the Compass Housing Alliance, Nyer Urness House, 1753 NW 56th St, which is 1 block north of Market Street in the Ballard neighborhood of Seattle. To gain entrance to the building, inform the receptionist at the outside speaker post that you are attending Freedom Project Community Circle program. CONTACT: The Freedom Project can be reached at (206) 325-5678. Please let us know if you plan to attend a Community Circle this month or have interest in future events. This program is contingent on receiving affirmative RSVPs from at least 6 individuals. TRANSPORTATION: If you need assistance with transportation or are available to carpool with other attendees contact us and we will attempt to coordinate rides for everyone interested in attending. Bus routes #44 and Rapid Ride “D” line are good public transportation options.